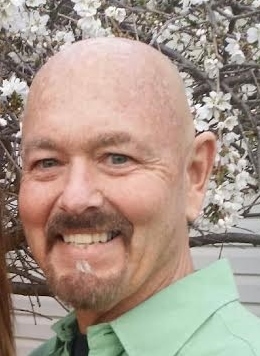 Jeffrey S. “Jeff” Randolph 63, of Elkhart passed away on March 29, 2019 at the Elkhart Hospice House. He was born on Jan. 1, 1956 in South Bend to the late N.A. and Ann C. (Bowen) Randolph. He graduated from Elkhart Central High School with the class of 1974. Jeff owned and operated a Mac Tool franchise for over 30 years in the Elkhart Area. He was a car enthusiast, having build and restored several cars, winning awards nationally. Services for Jeff will be at 7 pm on Monday, April 1, 2019 at Stemm-Lawson-Peterson Funeral Home, 1531 Cobblestone Blvd, Elkhart with visitation from 4 pm until the time of service. Following cremation, burial will take place in Spring Hill Cemetery in Danville, IN next to his parents at a later date. Survivors include his Loving Companion of several years, Kristin Snyder and her daughters, Alex and Gretchen, their extended families, loving care givers all, brother, Ron (Jenny) Randolph of Danville, IN, niece, Nicole (Paul) White of Wilmington, NC, nephew, Peyton Randolph of Irving, TX and cousin, Gary (Vicki) Wheeler of Goshen also Aunt B. (John) Estes of Georgia. The story of a person’s life cannot fit on a page, especially not a man that has lived such a full life. Jeff Randolph’s life was one of adventure, love, and laughter. There wasn’t a beach he didn’t want to explore or a car he didn’t want to see. No matter the circumstances, family and friends always came first. Jeff was never a man to ask for help but always the first in line to help you. Being a MAC Tools sales man for 30 years only fed his love of building things. From building numerous amazing cars, to tinkering around with the welder just to build his fiancé Kristin a trinket for the porch, he was a man of many talents. Jeff loved surrounding himself with family and friends, and the smile on his face while everyone was around showed it. He had a comedic style like no other, always having the right line at the perfect time. Jeff was diagnosed with cancer in October of 2018. He was not worried because the second he found out, was the second the family assembled a plan. His “Auntie Connie” never missed a surgery, his Uncle “Blue Eyes” Glen made sure he was never late to an appointment, and his “Mom Linda” made sure he was always comfortable. Late night text messages while watching his favorite shows with Bobby kept his mind off of treatments. Jeff’s brother Ron, sister-in-law Jenny and their two kids made sure to always check in and lift his spirits, even with them living miles away the love reached him still. But nothing compared to the love he received from his fiancé Kristin, and his two daughters Alex, and Gretchen. Jeff would want us all to keep living, keep laughing and keep loving each other. Share your stories with each other, speak of him even when you think you can’t, because as long as we remember, his spirit lives on in all of us. Online condolences may be sent to the Randolph family at the Stemm-Lawson-Peterson funeral home website.